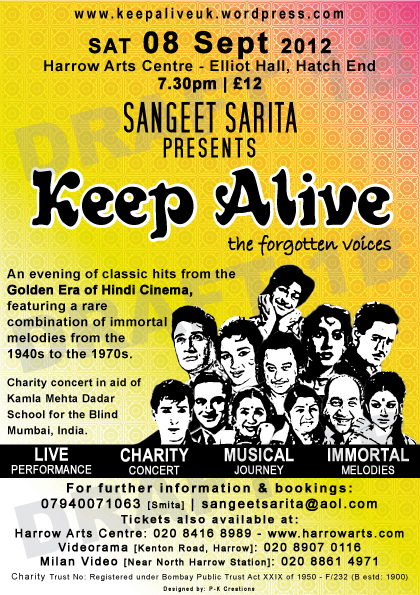 Keep Alive UK is the sister branch of SANGEET VISHWABHARTI. 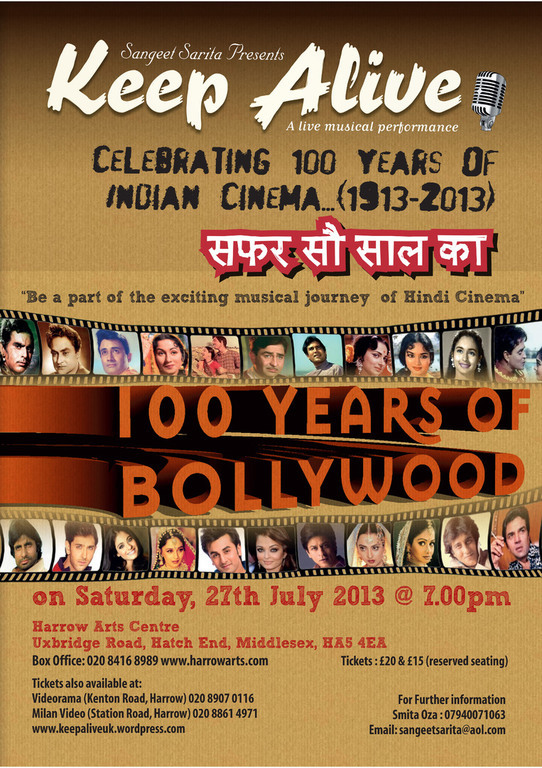 It was established in 2007 with an aim to revive old golden melodies of Indian Hindi cinema through the live performances with full musical orchestra. 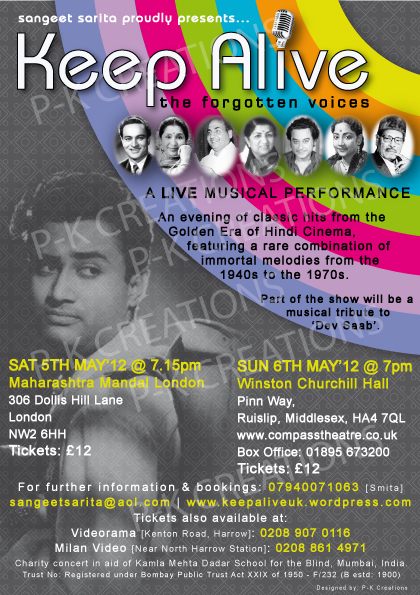 Old melodies / songs from Hindi cinema have been very popular amongst all music lovers in India and abroad and are still cherised by millions of people across the globe. 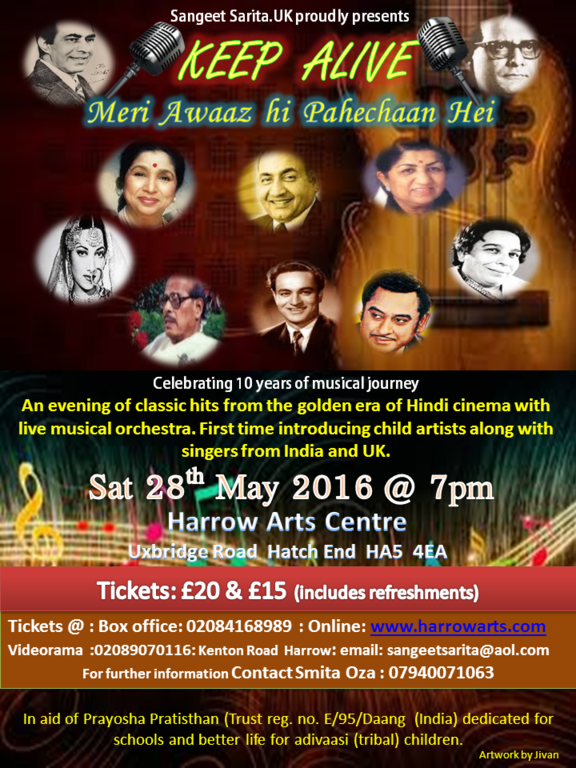 From 1950 to late 1960 was considered as the GOLDEN ERA of Indian hindi cinema. 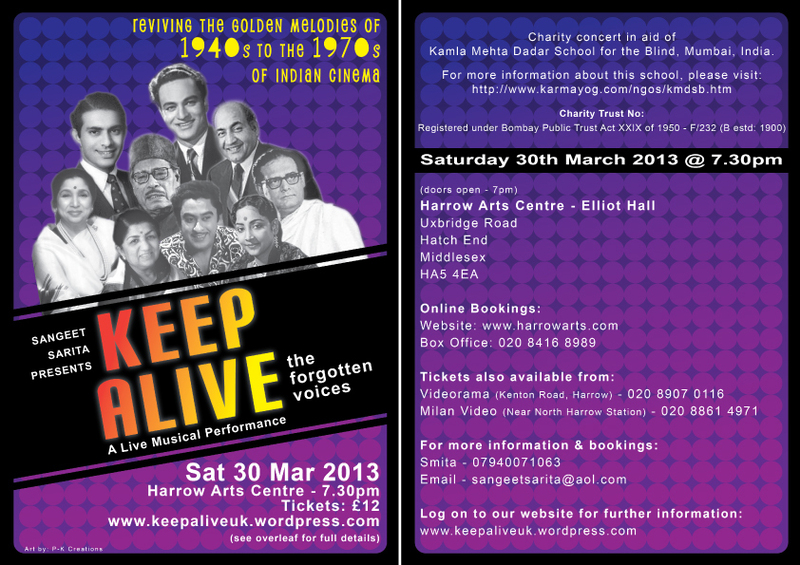 Keep Alive has entertained audience with an outstanding spectecular performances at many different places in the UK. 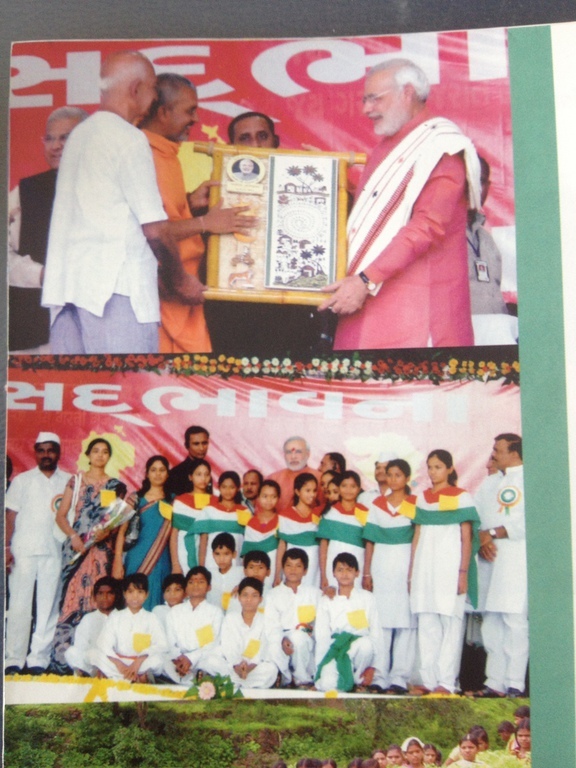 With the main aim to help and support charities in India and UK, Keep Alive has contributed donations to many charities such as Kamala Mehta school of Blind Girls-Dadar, Mumbai, Prayosha Sansthaan - Daang district of South Gujarat for the benefit of the tribal children, Age Concern UK etc. All the Keep Alive singers have been trained by Jatinkumar Oza with an extended Indian classical music for more ten years and more. From time to time students and singers have also gained coaching and voice training from professional singers like Sairam Iyer - Mumbai. At present, Keep Alive performers such as Kaushik Punjani, Paresh Virji, Pooja Kale, Preet Kale, Akhil Raithatha, Rikhil Raithatha, Priyanka Oza etc have been actively busy in performing and organising concerts besides their professional carreer.